If you are stumped with where to visit this year, you need not to travel any further… than this exact site! Here at Rainforest Cruises, we offer a range of dazzling cruises in over 8 extraordinary locations. Whether you are traveling alone, with family or a special someone we guarantee we can offer you the voyage of a lifetime. If you don’t believe us, just check out our collection of expert and public customer reviews, the testimonials speak for themselves! For this article, we’ll focus on choosing a Galapagos Family Cruise. Read on below to find the best option for you and your family! I Plan to Travel with Children. What Do I Need to Consider? Ok, so you’ve got your little ones screaming at the top of their lungs for new and exciting escapades, whilst the older ones are looking for the highest quality, scenic spots to take photos for their friends and insta followers. Sound familiar? We know how it is. Luckily, there is a prime selection of vessels we offer that might just be the golden ticket you never knew you needed. 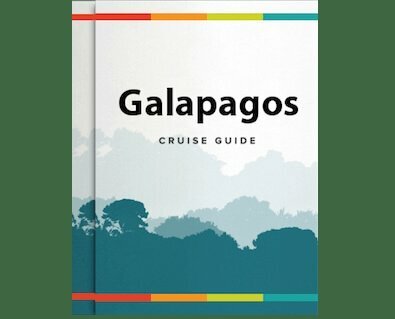 If you are dreaming of diving into a unique and unforgettable setting consider the captivating Galapagos Islands for your next family fun adventure. Those of you planning on Bringing a Child to the Galapagos Islands can prepare to look forward to a variety of activities, luxuriousness and grandeur. There is no doubt that Ecuador is a sensational location. But when snorkeling in sheltered lagoons to catch a peek at white-tip reef sharks or visiting the Breeding Centre to admire hatchling turtles is mentioned, you’ll officially become the new favorite family member. Traveling in style alongside this fabulous itinerary is the perk of booking aboard the Galapagos Legend Cruise - one of our Luxury ships that offers special discounted rates for children, under the age of 12! For those of you with a fondness for first class, we suggest the glamorous Origin Cruise. Accompanying her larger price tag is also a larger and more extensive itinerary, lasting 8 phenomenal days! You can relax in the jacuzzi, work out in the gym or take advantage of their generous open bar policy as you sip a cocktail on the sundeck towards your next destination. Your kids get the chance to borrow a book from the cozy onboard library or watch a movie on one of the flat screen TVs. In addition to holding some of the best facilities, she offers a superb discounted rate for children between the ages of 7 - 17! This boat is perfect for getting the whole crew involved as it even includes additional discount for students aged 18 - 21, plus the ability to choose interconnectable cabins during your stay. How Do I Take My Next Vacation From Memorable to Exceptional? If the concept of your family scrapbook filling up with treasures gets you being with delight, don’t hesitate to contact our team here at Rainforest Cruises for more information! Our experts will help recommend the best destinations to suit your family, give you the highlights of the trips, valuable information about each cruise and even what you need to pack in your suitcase! Just to make your side of the process is truly as effortless as possible. We can ensure you and your youngsters are catered for at every moment of your quest with us. As such, we will handle all of your requests as best as we possibly can to accommodate you and your travel companions. Before you go gallivanting off on one of our amazing Galapagos cruise journeys, please show your interest by sending us an enquiry or calling 1-888-215-3555.